Daddy may not look any different to any other dad, but there's more to him, you see. He's a hero, through and through. He battles dragons and saves people in distress. He rescues young kiddles from pirates. He even drives a spaceship and scares away aliens from nether planets, and let's not even start on his ability to scare away monsters. 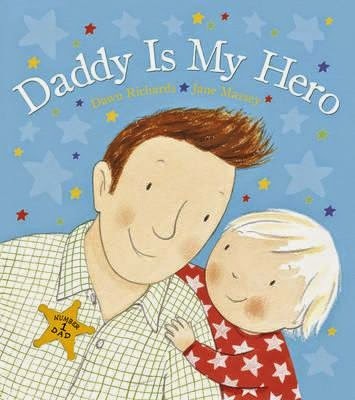 This sweet toddler book is a lovely homage to dads and the 'everyday' things they do that make them the best dad is the world. All seen through the child's eyes, it's easy to forget how 'big' dads appear to young ones--and how important they are in their world. Adorable illustrations make this an all-rounder of a board book both parents and kids will enjoy.